It’s important to work with doctors you can trust with your smile and your oral health. 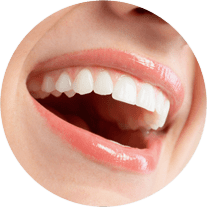 Our dentists treat people in Cromwell, Middletown, Rocky Hill and other surrounding areas in Middlesex county (including Berlin). They are eminently qualified and caring so you’ll know that you will always be working with someone that offers you the latest technology provided with compassion. Please schedule an appointment today and read on to discover more about our dentists. Dr. Roman Fedorciw has been in private practice in Cromwell since 1991. He received his undergraduate degree from New York University where he also attended New York University College of Dentistry. Upon receiving his dental degree, he completed a general practice residency at Long Island College Hospital. As a faculty member at University of Connecticut Dental School, he participates in the mentorship program for dental students. Dr. Fedorciw is a member of the Academy of General Dentistry, American Academy of Cosmetic Dentistry and the American Dental Association. He is also a member of the Connecticut Dental Association and Middlesex County Dental Association. Dr. Fedorciw has been acknowledged by his peers as one of the “Top Dentists” in Hartford County by Hartford Magazine and in the state of Connecticut by Connecticut Magazine. Dr. Mehran Massoumi attended Syracuse University for his undergraduate education. After completion of his dental degree from New York University College of Dentistry, he served a two-year residency at Beth Israel Medical Center in New York. He continued his formal education by completing a fellowship at Memorial Sloan Kettering Cancer Center. 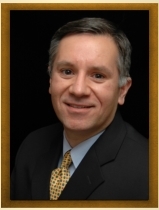 Dr. Massoumi holds the prestigious Mastership in the Academy of General Dentistry and is a member of the American Dental Association, Connecticut Dental Association, and the Middlesex Dental Association. Dr. Massoumi has also been named as one of the “Top Dentists” in Hartford County by Hartford Magazine. 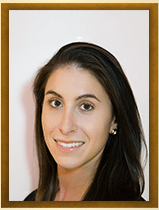 Dr. Alexa Kolbig earned a Bachelor of Arts degree in Psychology and a Doctorate of Dental Medicine from the University of Connecticut. After receiving her dental degree, Dr. Kolbig completed a one year intensive general practice residency program at Danbury Hospital in Connecticut. Dr. Kolbig recognizes the importance of developing a trusting doctor-patient relationship, and how critical that relationship is for ensuring high quality care and the most favorable outcome for the patient. Dr. Kolbig is a member of the Academy of General Dentistry and the American Dental Association. She enjoys spending time with her husband on the ski slopes in Vermont and wakeboarding on the lake in her spare time. Dr. Fossum is from Rapid City, South Dakota. He attended The University of Texas at Austin where he received his bachelor’s degree in Biology. Dr. Fossum attended UTHealth School of Dentistry in Houston where he received his dental degree. 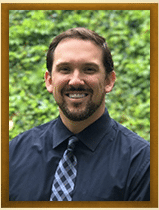 While in private practice for eight years he gravitated towards the field of endodontics and decided to pursue a dental specialty education. Dr. Fossum then moved to Farmington and began his studies at the University of Connecticut for specialty training in Endodontics (Root Canal Treatment). Dr. Fossum is a proud member of the American Association of Endodontists. 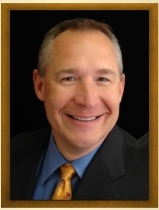 Dr. Fossum comes from a long family lineage of multiple dentists. He and his wife are proud parents of four children and are actively involved in their many extracurricular activities including figure skating, ice hockey, golf and piano lessons.